Thanks for the suggestions. But not everything is clear. what does it mean? and how should it work? Can you describe in more detail? I stole this idea from other software... If you want to move a bet, you right-mouse click the price you want, and the bet will move there. If there is more than one unmatched bet, the closest bet will be moved. BotBeetle already has Stake mode and Liability mode. My suggestion is to add Payout mode (Total Stake/Odds), so if my total stake is £10, and I place a back bet at odds of 4.0, the software would place a bet of £2.50. 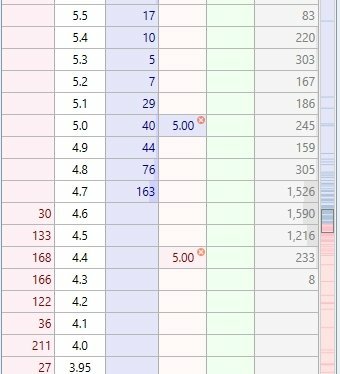 I know I can do this already with the dutching module, but I prefer to use the ladder or grid, as it is easier to read the market and quickly select the odds I want. I will do it in next version.